Today’s been a big day for us. The morning was spent further exploring the coal mines alongside Richland Creek. The scale of Salt’s enterprise here is difficult to grasp initially. We were shown ventilation shafts bored from the surface to reach the mine workings well below. What we had previously understood to be Richland Mine (see our blog for Day 3) turned out to be no more than the entrance to one of the horizontal ventilation shafts. More shafts are strung out along the hillside. The only reliable way of finding these is through the use of GPS locating based on previous searches. It’s a bit unnerving hacking across the hillside towards an unmarked 30 ft shaft covered in vegetation. Trying to do this without expert guidance is asking for trouble. 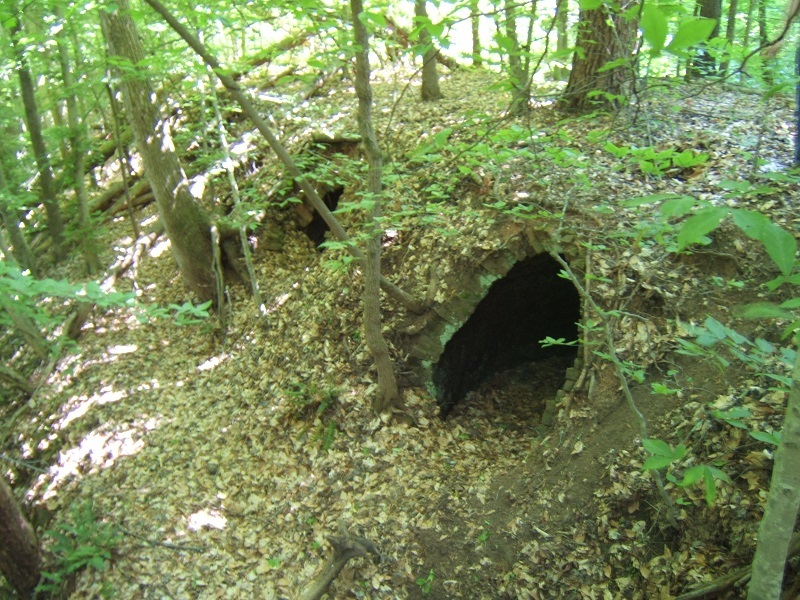 The mines in this area were almost exclusively coal mines – rich seams of bituminous coal suitable for coke production which would be subsequently used in the iron blast furnaces down the valley. 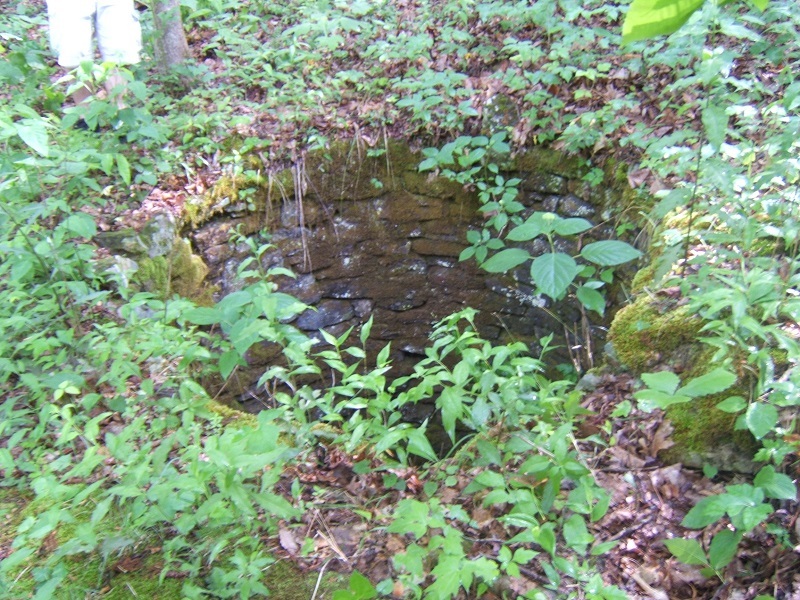 However, most of the iron smelted was actually being brought in from further afield, including, it is thought, the Georgia mines that the company also owned. Early afternoon we broke off the exploration to go down to the famous Dayton Courthouse, scene of the Scopes Monkey Trial of 1925. 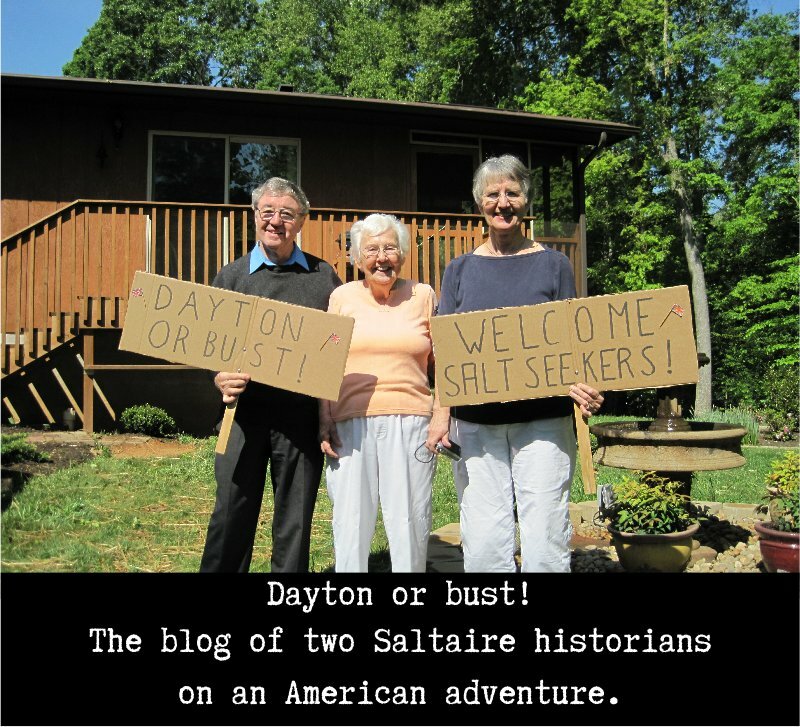 William Wade spoke eloquently on the history of the Dayton Coal & Iron Co. We gave talks on the history of Saltaire, the Salt family & their Dayton venture. We were honoured to be speaking in such a historic setting. 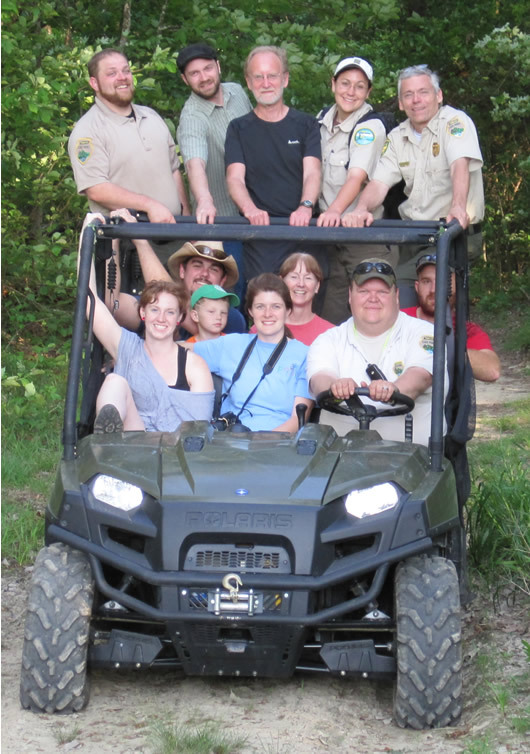 In the afternoon a group of us were taken by the Trail Rangers’ vehicles to the Nelson Mine, also part of the D C & I Co, but across the Creek into less accessible, privately owned land. This was the location of great rows of coke ovens, where in a systematic industrial operation coal was first washed & then converted to coke. Working conditions around these very hot ovens, in Tennessee’s roastingly hot summer months can only be imagined. Once again the cost & scale of the operation in the 1880s was brought home to us – it was comparable, we believe, to the building of Saltaire. 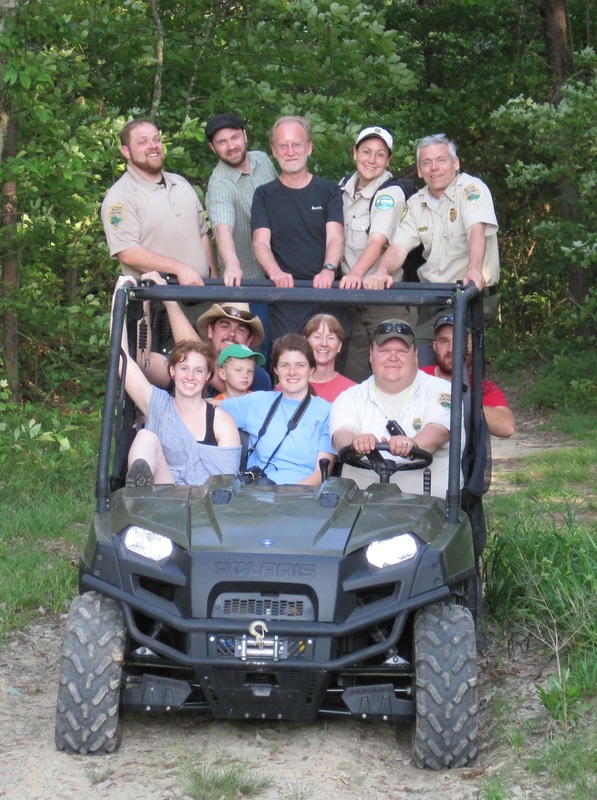 Finally, an exciting ride up rough ground to a look-out point that Titus Jr may well have visited – Buzzard Point. Affording spectacular views stretching more than 70 miles in some directions, it allowed us to look down on Richland Creek for the first time. A fitting end to a wonderful journey of discovery for the two of us. 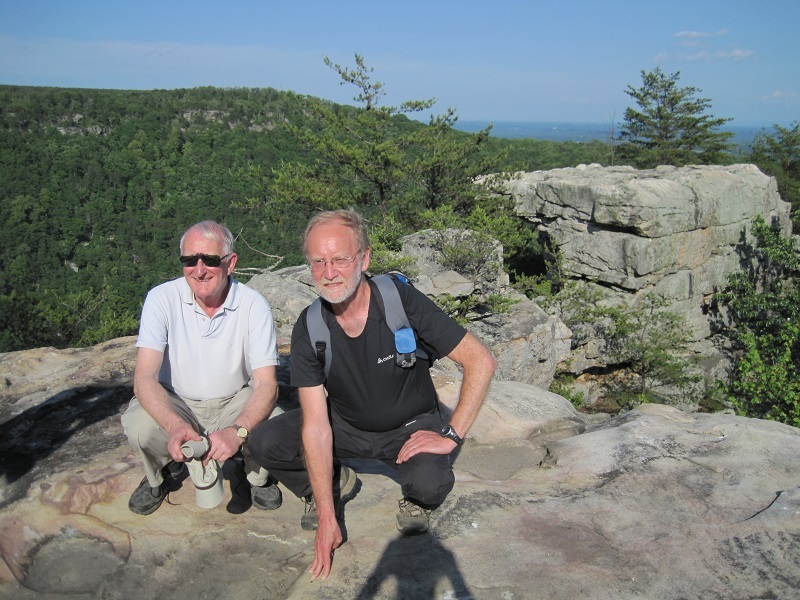 There are many people deserving of very special thanks for what has been an absolute joy for us – Bob Fulcher, George & Andrea Wignall, William Wade, the several friends in the Rhea County Historical Society, Bob’s staff of Cumberland Trail Wardens – the list goes on. And, back home in Saltaire: as always – the much treasured Pamela for managing this blog for us. Tomorrow it’s home, so we’re ending this blog now. To the Folk in Dayton: please come & visit Saltaire! May the two communities’ links grow stronger in the coming years. It's very little known, but the Salt family created & invested heavily in a coal & iron company that members of the family created in Dayton, Tennessee (the Dayton Coal & Iron Co). The company's registered office was at the Mill in Saltaire, but the venture had nothing to do with textiles. The "venture" (the word is used in an 1887 newspaper obituary for Titus Jr) involved the establishment of mining/ furnacing/ railroad services/ workers housing etc etc, & had its origins in the 1870s - when Sir Titus was still alive. The company didn't get into production until the 1880s, under the direction of Titus Jr & Charles Stead. The family's interest in the venture came to an end the week before the collapse of Salts Mill in the 1890s, when all financial interest in Dayton was surrendered to a Glasgow based company who had by then been brought into the venture as partners. In the 1870s Sir Titus had possession of the land in question, which passes through Richland Creek near Dayton. (The circumstances that led to this possession are very interesting in their own right). 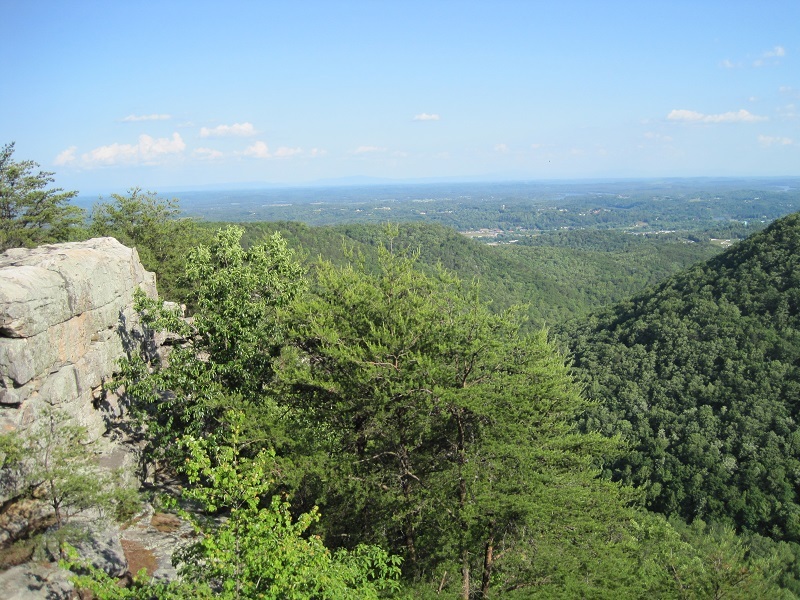 The land is about to be inaugurated as part of the Cumberland Trail (a long distance footpath running nearly 300 miles from Cumberland Gap to Chattanooga, (see http://www.cumberlandtrail.org/ ), & David King & I will be attending the opening ceremony which takes place on 4 May (Denys's 94th birthday!). In the preceeding week we'll be meeting local historians to learn as much as we can, & with a view to strengthening what contacts we already have. We travel out on Tues 24 Apr, return on 7 May, 2012. Our trip is being helped by the kind hospitality of an old school chum - Old Hansonian George Wignall & his family - who now live in Oak Ridge, 30 mile up the road from Dayton. Please let us know if you have particular thoughts on any of the above - & thanks for reading this.